On August 12, 1914 a 33-year-old widower named Thomas Hancock enlisted in the Canadian Forces and was sent overseas. 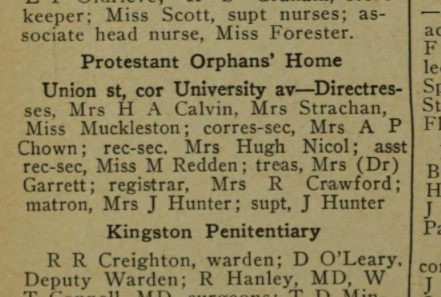 On his attestation papers, his next-of-kin are listed: three daughters (Sarah, Laura and Isabelle), in care of the Orphans Home in Kingston, Ontario. About seven months later, Thomas was wounded in the right knee and captured at St. Julien, France. He spent the rest of the war in the Geissen prisoner-of-war camp. 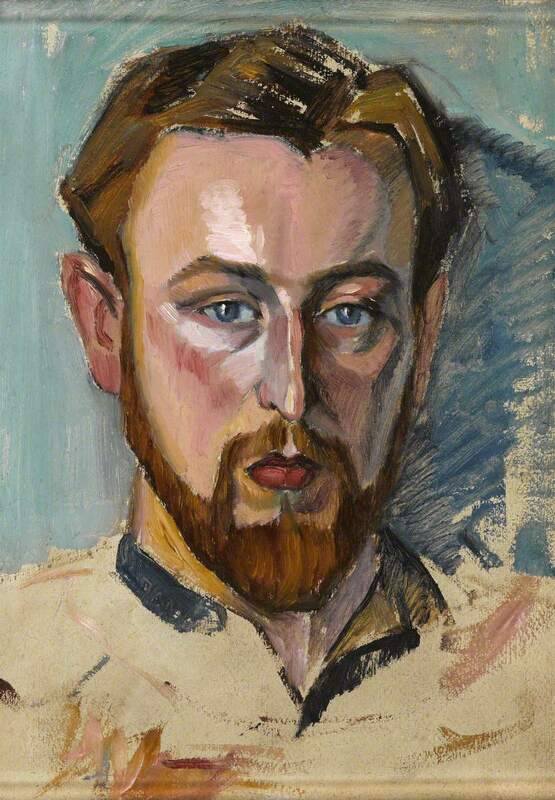 The camp was unusual because there were a number of artists among the prisoners, and for the first year or so they operated a small art “studio” in the camp, painting portraits and camp scenes on the backs of ration-tin lids. Before the war, Thomas Hancock’s occupation had been “decorator.” Perhaps he spent time in the Giessen studio, and knew the artists who painted these pictures. 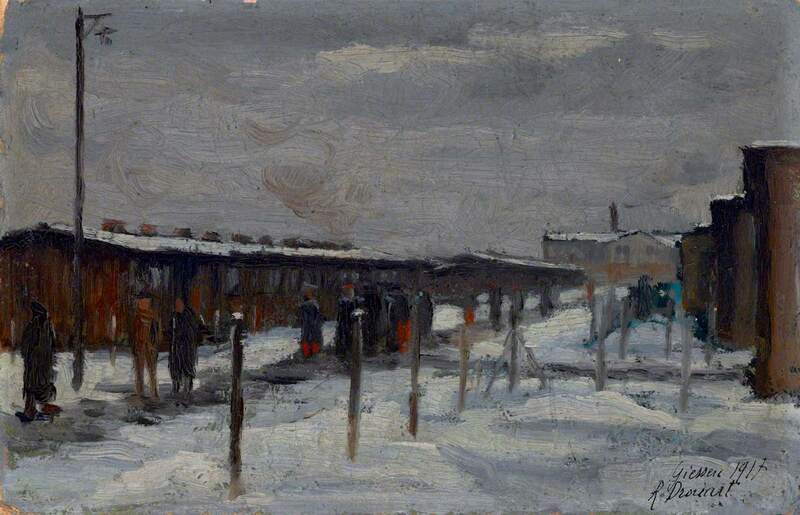 You can see some of the Giessen paintings online, including an image of Giessen POW Camp in 1917 (above) and a portrait painted on a ration box lid (right) by Raphael Drouart. Both works are from the National Army Museum in the UK. In March of 1919 Thomas Hancock returned to Canada and was discharged in Kingston. Was he reunited with his daughters? What happened to this family after the war? The answers may be found in the 1921 Census of Canada. Learn more about the release 1921 Census of Canada.